In its capacity as member of the ECDA and having been elected by the Board of the Alliance, EKHA takes over as of January 2017 the Secretariat of the ECDA – a rotating Presidency – from the European Society of Cardiology for the coming two years. During this time, Professor Vanholder will represent the ECDA, as Acting Chairman. ECDA is a coalition of 11 European health organisations sharing the same interests in combating preventable chronic diseases through European policies that impact health. ECDA represents millions of chronic disease patients and over 200 000 health professionals. ECDA’s mission is to reverse the alarming rise in chronic diseases by providing leadership and policy recommendations based on contemporary evidence. More information on ECDA and its activities is available here. 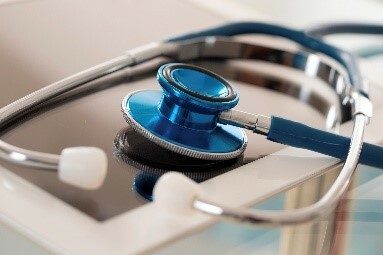 The French 2017 budget law foresees the expansion of the national telemedicine pilot project, launched two years ago to develop telemedicine as a means to improve the follow up of patients after hospital discharge. As of 2017, priority will be set on telesurveillance of patients with chronic diseases and especially four types of chronic diseases: diabetes, heart failure, hypertension and kidney failure. Healthcare facilities will be financially supported to cover the costs of the related consultations. The objective is to ensure that 1 million patients are supported via telesurveillance in France by 2020. On the 1st of January 2017, Malta’s term at the helm of the Council of the EU started for a six month period until the end of June 2017, taking over from Slovakia. Malta participated to the setting of the trio Presidency (The Netherlands and Slovakia) programme, defining the key areas of work from January 2016 to June 2017. In the scope of this overall programme, Malta defined its set of key issues which will be prioritized during its mandate. Amongst the Presidency priorities in the field of health include cross-border healthcare collaboration, improving the response to child obesity including via the promotion of healthy lifestyles, and working towards sustainable models of structured cooperation between health and social care systems. More information on the Presidency priorities here. 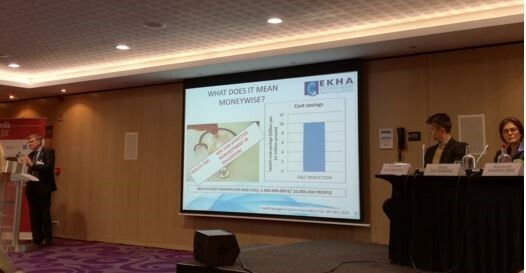 The European Chronic Diseases Alliance, which EKHA is a member of, co-organized the conference “the European Response to Chronic Diseases – the Role of Civil Society” on the 12nd and 13th of December in Brussels, in partnership with the NCD Alliance and co-sponsored by the World Health Organization Regional Office for Europe. The conference was the occasion to hear more about the EU response to non-communicable diseases from Mrs Ingrid Keller, Policy Officer in charge of chronic diseases at the European Commission. It was also the occasion to exchange views between all relevant stakeholders, from representatives of WHO Europe to policy makers including Portuguese Member of Parliament Dr Ricardo Baptista, health advocates in the field of chronic diseases, healthcare professionals and patients. During the meeting, EKHA Chairman Professor Vanholder gave insights on salt restriction as an example of action at policy level to improve general health and prevent chronic diseases. Outlining the importance of education, he emphasized the need for greater health literacy and awareness, and for simplifying food labelling to ensure healthy food choices. Prof Vanholder especially called for joint multi-stakeholder work and collaborative efforts to develop a solution to drive health outcomes. 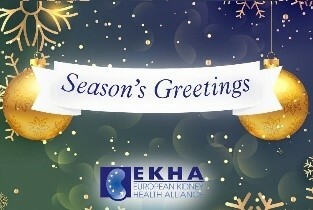 EKHA sends to each of you its best wishes for the New Year! May 2017 be filled with health and joy. We look forward to continuing working together towards our shared goal of improving policies to address CKD in Europe and reduce the burden of the condition on patients’ lives.